I've been working on a project at the local Microsoft Technology Center involving their Kinect Motion sensors. We ran into a problem which was eventually resolved by Nor-Tech master technician, Terry Sheridan. On Wednesday, we went back to the MTC to deliver our product. 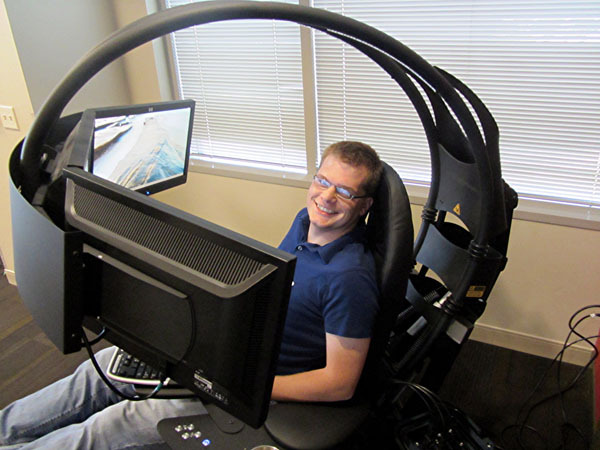 As a reward for his efforts, Terry got to experience the "Emperor's Chair" which is a new way to experience computer games in an immersive environment. They have some pretty neat stuff over there! 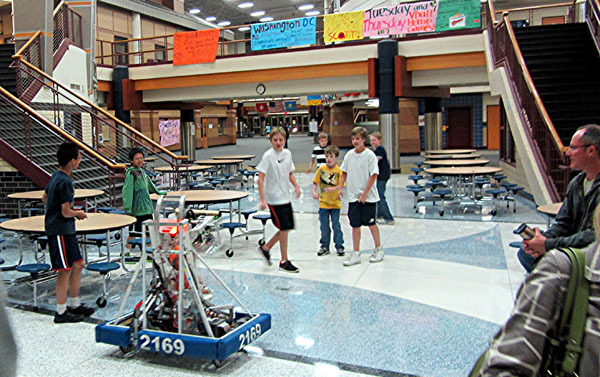 On Friday night, we went to the Kickoff meeting for the 2012 Prior Lake Middle School Robotics Club. 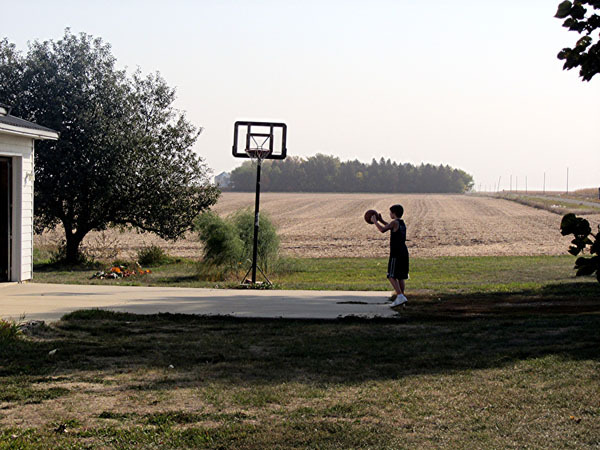 The boy had the chance to mess around with the latest contender from the high school team, KingTech, which shoots basketballs with amazing speed and accuracy. Lucky nobody got smacked in the face, because these boys were making that robot shoot basketballs everywhere! 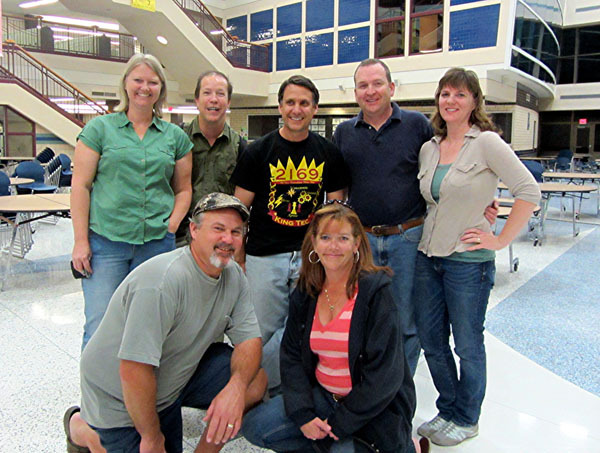 These are the parents from Luke and Avery's 2011 team along with Joe Passofaro. Joe helped his sons found the high school team seven years ago and has since helped them win 30 different trophies in various state and national competitions! This is Joe's last year in the program and he will be sorely missed by everyone! On Saturday morning, we decided to take our talents to Inwood, Iowa. 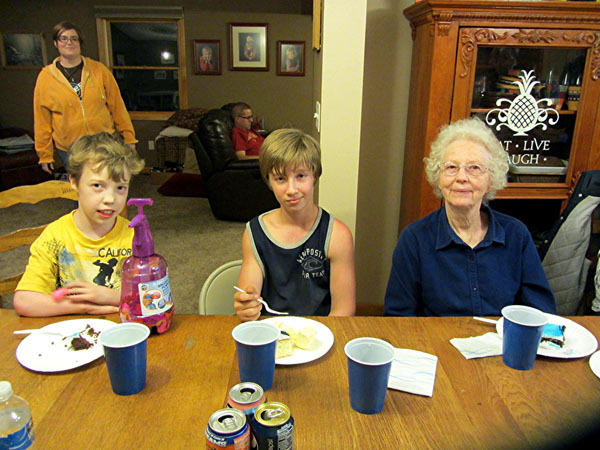 We went to see Grandma Leona. The boys hardly ever leave her side while we're there, mainly because she keeps them smothered with cookies and cupcakes throughout the weekend! 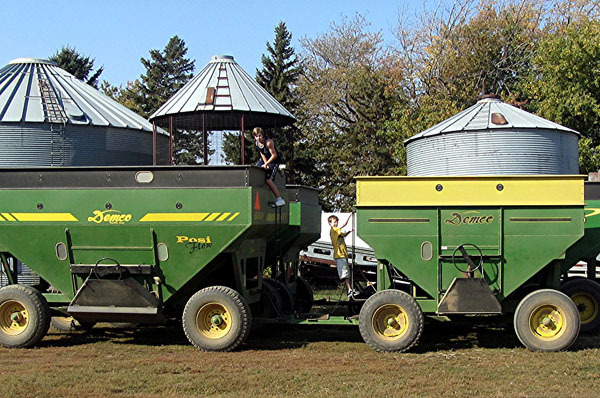 We do make them do work on the farm for 8-10 hours a day while we're there, though. Otherwise, they'd just get way too fat. 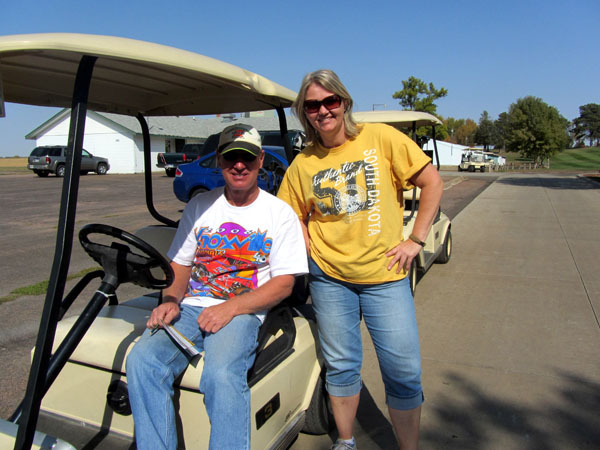 Miss Sheri loves having the opportunity to spend time with her brother, Jerry. And Jerry loves having the opportunity to beat up on us at the Golf Course! 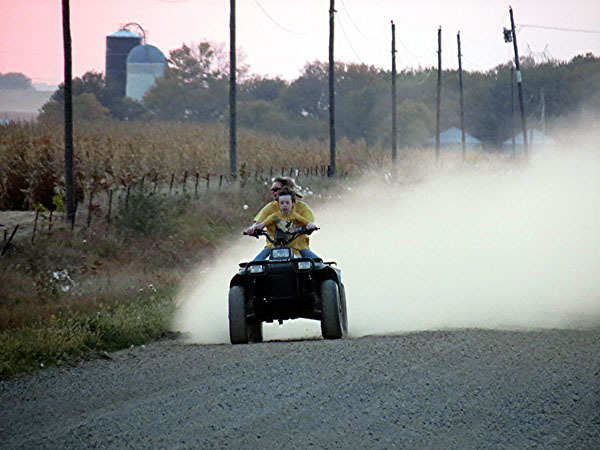 The boys love having the opportunity to tear up the gravel roads on Uncle Jerry's 4 Wheelers. Next time, I'm bringing a face mask though because that dust can be a killer! 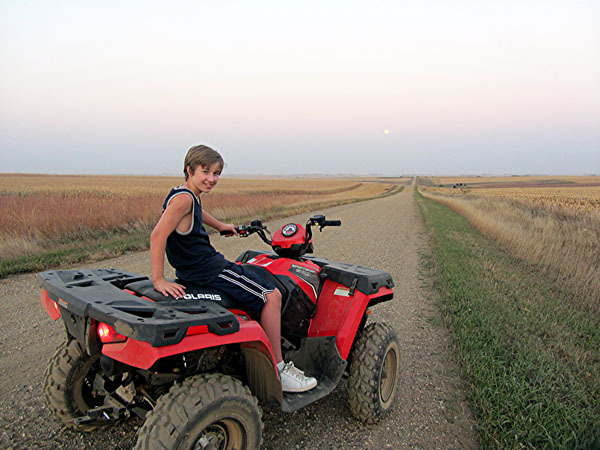 Avery made me re-take this picture several times to ensure I had the full moon framed just right to balance against his masculine pose. 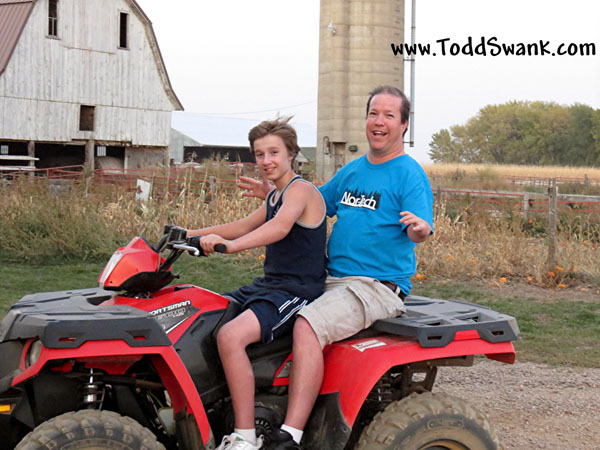 Then I climbed back on and he gave me a ride back to the farm. 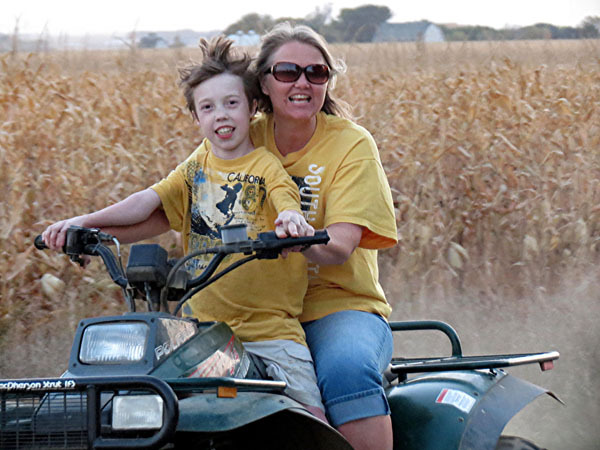 We love riding the 4 Wheelers! It's way cheaper than going to the hair stylist!